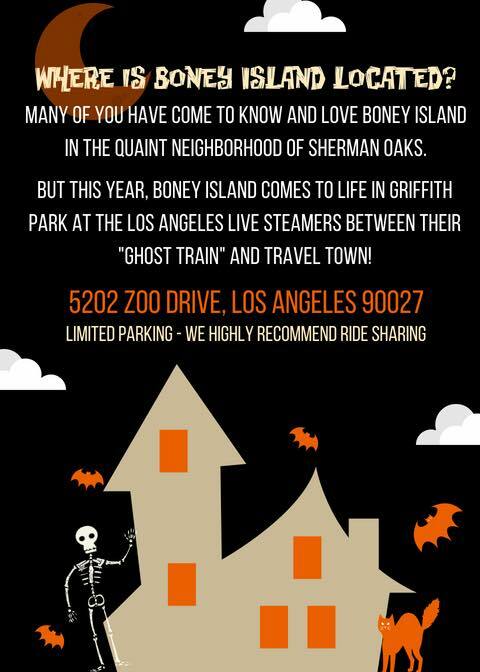 Boney Island, the Sherman Oaks Haloween extravaganza, created by Rick Polizzi, an Emmy-winning producer for "The Simpsons" is back. 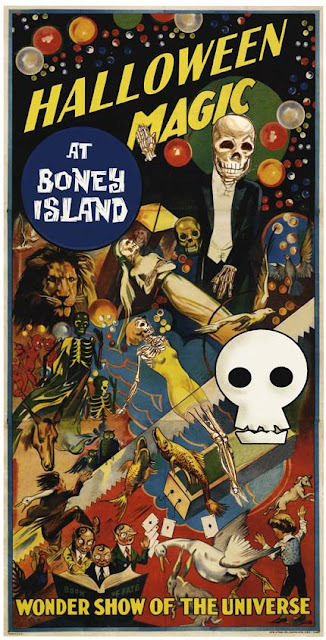 Do you remember Boney Island? 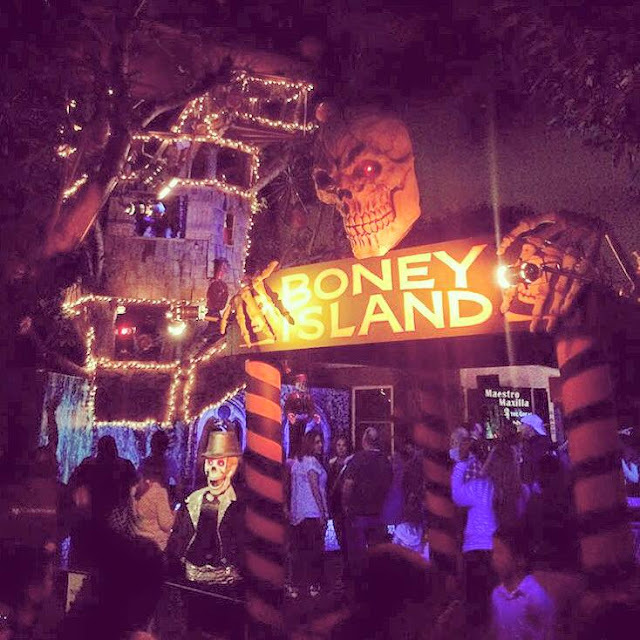 For 19 years, Boney Island was a free local neighborhood holiday attraction put up during Haloween at a private home in Sherman Oaks where neighbors and friends all came together to enjoy...until of course, it became too big and people complained about the crowds so it was shut down. Well, now it is back at a new location in Griffith Park. 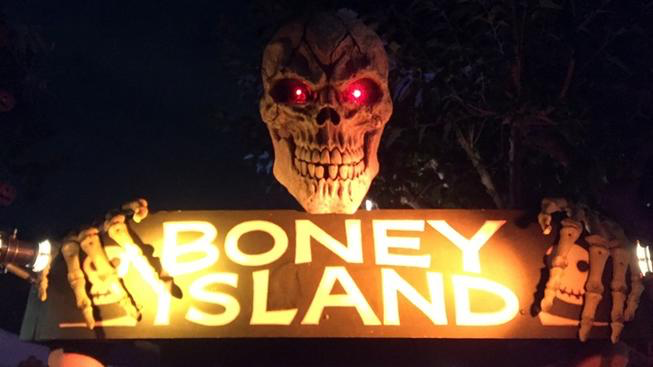 Opening Oct. 11 and staying through Halloween, Boney Island will now cost you $15 for a night of looking or $40 for a season pass. Boney Island features skeletons performing rope tricks, levitating through hoops, and shadow puppetry. 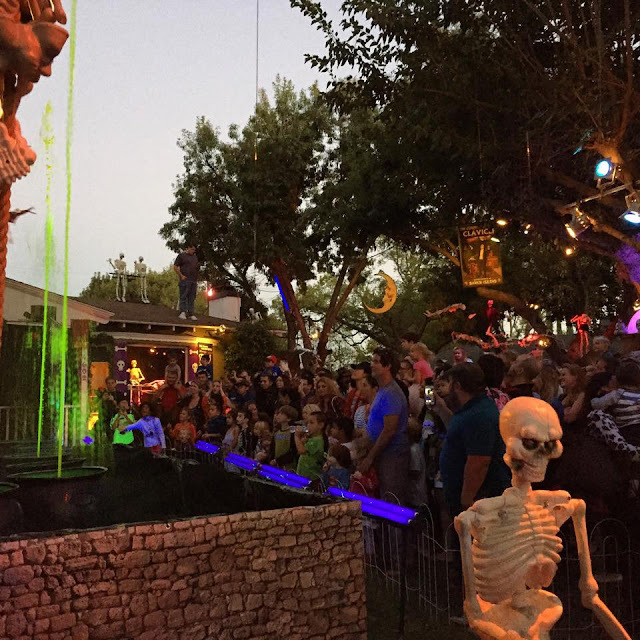 There are side show-type gags and a host of other oddities, including singing shrubbery, anti-gravity water, bantering spiders, a flock of skeletal hummingbirds, and many other details that even long-time fans will not have seen on previous visits. Clearly, everything in Hollywood is getting a reprise. To purchase tickets, click HERE. 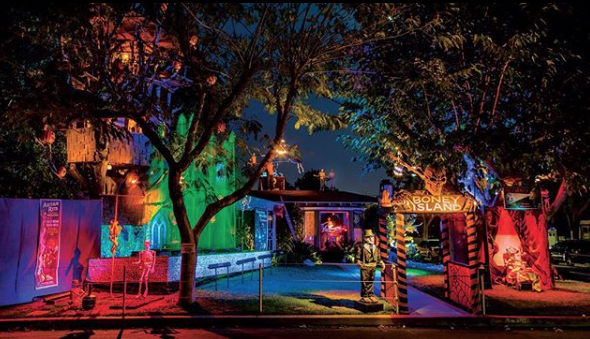 Boney Island was always a Haloween tradition, and it reminds us of when LA was a little more simple so we are glad that it is back...bigger and better. That is why we ❤️ it.